Music and music memorabilia creates a bond with people that's hard to explain. But each year in Canby, no one has to explain anything as people simply revel in it. 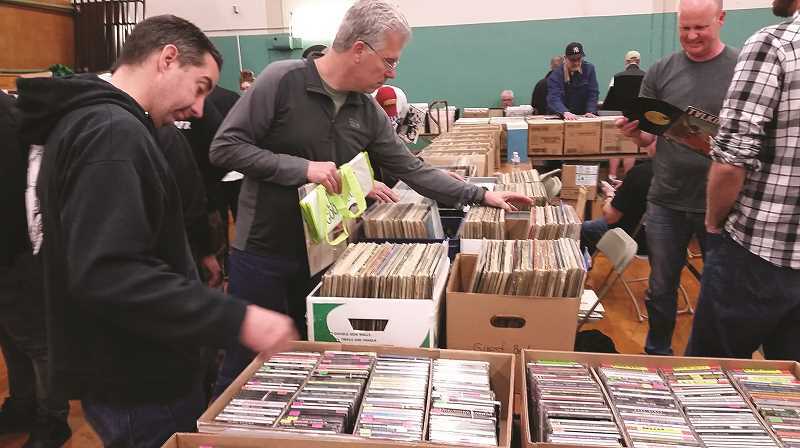 The 36th annual Record Bonanza returns. The salute to music of all genres and eras will be held for the second year at Ackerman School (350 S.E. 13th Ave.) in Canby. Event founder and organizer Don Rogers said the relocation last year has some benefits. "This gives us a little more room and we're able to have all the tables in one room now, so that's really nice," Rogers said. "It's a nice area for the show and for families, and parking works out just fine there." 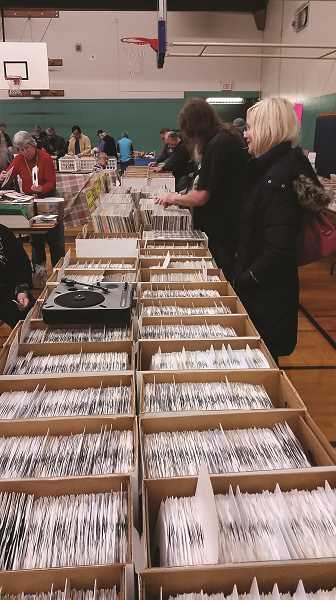 This year's Record Bonanza will be held from 10 a.m. to 4 p.m. Sunday, April 14. Admission is $3; parking is free. "It is Oregon's oldest record show and one of the biggest on the West Coast," said Rogers, proud of the growth of this musical monster he created more than three decades ago. "We've got more than 80 tables, and dealers from four states coming this year. Each year there are new people who want to have a table." And what are they looking to buy, sell and trade? An Elvis album, posters from a Northwest concert, or that long-forgotten favorite CD? In the end, the musical memories cover the entire spectrum, which is exactly what the show provides. Record Bonanza offers more than 100 years of musical memorabilia, with plenty of 45s, 33s and 78s for those who simply miss the feel and smell of a good vinyl record. There also are posters, books, sheet music, photos and memorabilia of all types. "Every year I get new people calling me wanting to come," Rogers said. "As always, there will be plenty to see, hear and remember at the event. It's a reminder that music has a long, rich and lively past and that listening to classic music hasn't disappeared, the records just need someone to take them for a spin on a classic turntable. "It's kind of a chance to get together with people who have the same interests," Rogers said. "I just love the idea of someone coming in looking for something they liked when they were growing up —then finding it." For more information about this year's show, call Rogers at 503-651-2780.